Dodge is bringing back its popular legal drag racing event for a fourth year. Motor Trend and the Fiat Chrysler Automobiles brand host the event as the kickoff to Detroit’s week-long celebration of classic cars and car culture during the Woodward Dream Cruise, which attracts tens of thousands of auto enthusiasts from around the world. The Aug. 11 event will be bigger than past years in several ways. It is produced by Roadkill, a brand of Motor Trend Group, with a show that delivers a one-of-a-kind taste of "Automotive Chaos Theory" on the Motor Trend App and Velocity network. The event also features two unique thrill ride experiences in 707-horsepower Dodge Challenger and Charger SRT Hellcat models. Dodge Challenger SRT Demon simulators will offer the latest state-of-art motion technology to deliver incredibly realistic special effects and virtual head-to-head drag racing. Last year, more than 40,000 enthusiasts celebrated performance car culture, said Steve Beahm, head of passenger car brands – Dodge//SRT, Chrysler, and FIAT, FCA - North America. “Roadkill Nights gets people on to a track run by professionals, so they can really show how their hot rods perform in a more controlled environment,” Beahm says in a release. There also will be more celebrities participating in showdown races and the addition of freestyle motocross exhibitions at the 2018 event, including Leah Pritchett in her Dodge/Mopar Top Fuel Dragster and Matt Hagan in his Dodge Charger Funny Car. The drag racing will include a celebrity showdown with Motor Trend’s popular series “Roadkill” co-hosts David Freiburger and Mike Finnegan. Chris Jacobs of Velocity’s “Barrett-Jackson Live” will emcee the activities, while Brian Lohnes of Motor Trend’s “Put Up or Shut Up” will emcee the drag races. Full details for spectator tickets, show ‘n’ shine registration, participant registration for drag racing, and an extensive range of packages are available now at roadkill.com/nights. 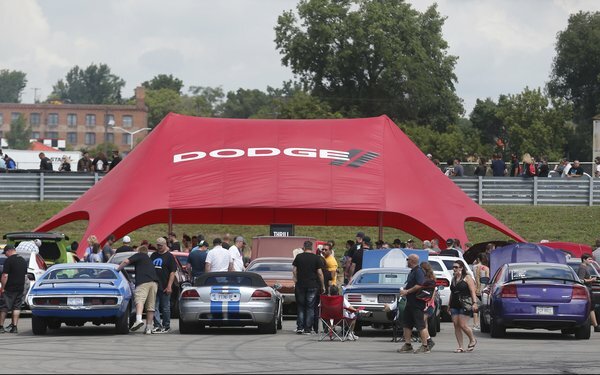 Fans can follow the action for Roadkill Nights at hashtags #RoadkillNights and #poweredbydodge.